Will the real Princess Grace please stand up? HOW WOMEN CHANGE THE WORLD: Will the Real Princess Grace Please Stand Up? After much controversy, “Grace of Monaco” was finally released this month, giving us a chance to see for ourselves what all the blooming fuss has been about. It opened at this year’s Cannes Film Festival to embarrassing reviews. Princess Grace’s son, Prince Albert II, current ruler of Monaco, condemned the film, saying it was a “glamourised slur on his parents.” The royal family stated that the story bears little resemblance to the royal couple’s life. First of all I must give kudos for the casting of Nicole Kidman. In my opinion she’s a perfect fit. 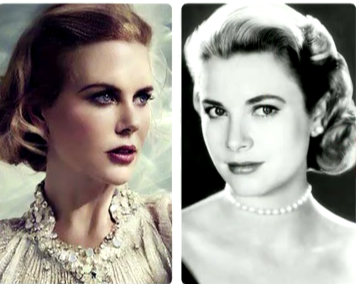 The resemblance between Princess Grace and Kidman are uncanny. Both beautiful, poised, elegant women. To me the epitome of how a real lady should carry themselves. Nicole Kidman, starring in the title role defends the film, saying it is a “fictionalized account”. Why then, drag the royal family into it at all? Why not make up a fictionalized story, instead of recreating the history of Monaco royalty? While it’s no secret that a royal life means more than lounging around one of your umpteen residences (debatable, of course), this film merely assumes that Grace was a terribly unhappy Princess locked up in a proverbial tower, with Ms. Kidman assuming pouty faced looks throughout the film, without explanation. We’ve all heard the fairy tale princess story before. Peasant meets Prince, they fall in love, get married and live happily ever after, singing into the sunset. And as with most Royalty around the world, you may hear more of the Prince’s accomplishments but whatever happened to the Princess? Has fate caused her to become the Invisible Princess? Like our very own Princess Diana, few famous women can fulfill additional chapters of a fairy tale story like Princess Grace of Monaco can. After embarking on a successful theatrical career at 20 then launching into a film career, Grace Kelly was beautiful, poised and confident. At 26 she married Prince Rainier III of Monaco to become a Princess herself. This is where you’d think her story ends, but you are wrong. As Princess Grace meandered through her fairy tale existence in Monaco, it will all too clear to her that many did not enjoy such a sheltered life. In 1964 she created the Princess Grace Foundation in order to provide aid to those who needed it the most. Why didn’t the film play up her contributions to society? I would have even purchased two really big boxes of popcorn at the cinema (and they’re blooming expensive these days!) if I knew I would witness the royal family of Monaco throwing real “shade” at Ms Kelly as she tried to adapt from riches to even more, erm, riches. The film certainly captured some of her unhappiness, but the audience are left hanging. Why exactly was she unhappy? Was it because she was a Princess in an alleged “arranged marriage”? Or maybe her £1.5 million diamond earrings were weighing her down all the time? The film contained historical inaccuracies and fictionalized scenes. Whatever happened to the Princess Grace we’ve heard of in more recent history? As graceful (ahem) as she is, Nicole Kidman certainly fulfills the requirements of a caring and poised Princess such as Grace. But for some reason, she is not believable in this film. The Guardian once dubbed her “box office poison” for her many box office flops. How dare they! Who could forget her movies, ‘Birth’, ‘Margot at the Wedding’ or ‘Fur’? Nicole Kidman aside, Princess Grace was a famous woman who died in the midst of making large steps to improve the world around her. With or without the Royal family of Monaco. Sadly she didn’t live until a ripe old age. In 1982 she died tragically of a stroke at the wheel of her car whilst driving. She was only the age of 52. Becoming forever immortalised for her role as a Princess, with a difference. Before she died, she wanted to be more than just a figure head of State. 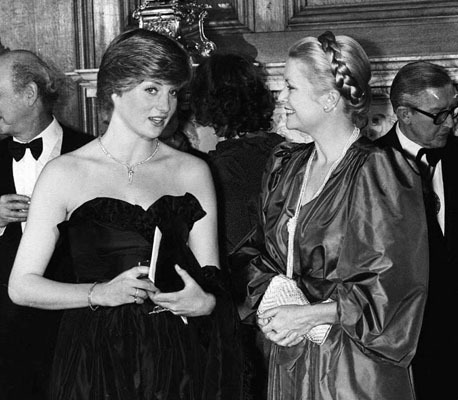 She wanted to change the world through her Princess Grace Foundation. The late Grace Kelly’s Princess Grace Foundation, is a non-for-profit organisation dedicated to identifying and assisting emerging talent within theatre, dance and film by awarding scholarships and grants to the next generation of budding entertainers. Still fully operating today in both the USA and Monaco yet continues to slip under the media radar. I haven’t seen it mentioned once within all the furor of media and press since the movie has been released. Have you? Although audiences of the film may have been left hanging as to the whole pointless mess of the “Grace of Monaco” film, hopefully by reading this you may have been somewhat enlightened further into the story of Grace Kelly and her much unappreciated quest as a women who wanted to change the world. Even though cut short, I think she did. And I believe her legacy continues to do so. Next Post Brand spanking new showreel! Yes, there is so much more to Princess Grace. Have you heard about the new book “My Days with Princess Grace of Monaco” that hopes to shed light to her many dimensions?